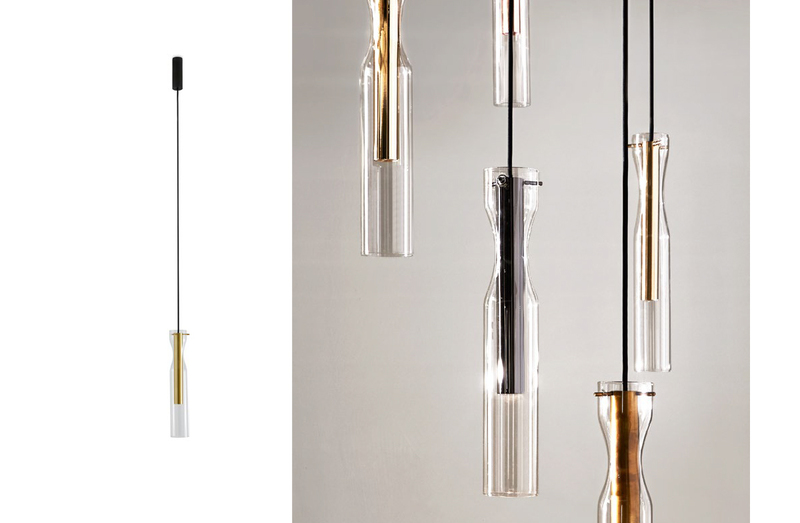 Pendant with hand-shaped glass cylinder and metal detailing in: bright, satin, hand burnished, black chrome, or copper brass. LED lamping. Available to order in a choice of two sizes as a single drop pendant, or as a set of 3 or 5 pendants unified on a single ceiling plate. Metal finish options: Bright, satin, hand-burnished, black chrome, or coppered brass.